Most New Zealand businesses are using the cloud in some form, and this is in an environment where the pace of cloud innovation and adoption is rapidly accelerating. Organisations are struggling with how to govern usage, manage costs, and secure cloud estates and looking for direction with ‘make or break’ decisions. Now that we have described the nine main trends on cloud management, we delve in to solutions and ways to respond. Aligning your enterprise IT investment with any or all of Amazon, Microsoft and Google (the Hyper 3) will help make you more competitive in the coming years and allow you to manage down technical debt and decouple from the past. Successful private clouds are now defined around solving a specific use case, such as conforming to data sovereignty needs or supporting edge-use cases. Newer offerings to extend virtualized environments to public cloud, or bring public cloud attributes on-premise, are just that: new and immature. If the goal is agility, cost reduction, or speed, then your choice should skew public. If, for whatever reason, you feel on-premise is a better fit, options exist but require additional considerations. This approach may require a second migration to public cloud in the near future. And all decisions have time, risk, cost, and talent considerations. Operating in the cloud requires a new cloud-based operating model, and along with it, people with new skills and new roles. Most enterprises will struggle to define their operating models and implement the collaborative environments needed to make it work. And, to further complicate the transition, the enterprise will find a shortage of talent—forcing the retraining of existing talent or the potentially difficult and expensive acquisition of new skills. When making this transition, you need to focus on policy, tied to governance—these are critical capabilities in the multi-cloud world. Implementing and fine-tuning a cloud management strategy will smooth the road to effective management of complex environments. And provide new processes for tag management which is especially critical: What you don’t tag, you don’t see. What you can’t see, you can’t manage. You’ll need talent, proven tools, and comprehensive services to deliver your long-term cloud strategy. You’ll also need to focus on where and how they add value, and that means building or customising tools for special needs, which can create complexity and restrict upside. Any organisation theoretically could create a robust management control plane. But the investment, time, and skills to do so is likely out of reach for most. How, when, and where do you use niche tools versus native cloud provider tools? The same questions apply to tagging and cost management. It’s important to understand where the capabilities of native consoles start and stop and derive a strategy and plan for how your organisation will function across multiple clouds. You need to understand your comfort zone and risk profile. “Locking in” isn’t a bad idea if the decision where to lock-in drives value for the organisation. On the flip slide, you must be wary of the many niche vendors flooding the market and specialising in specific management components, such as governance, cost management, capacity planning, security, compliance, or configuration management. 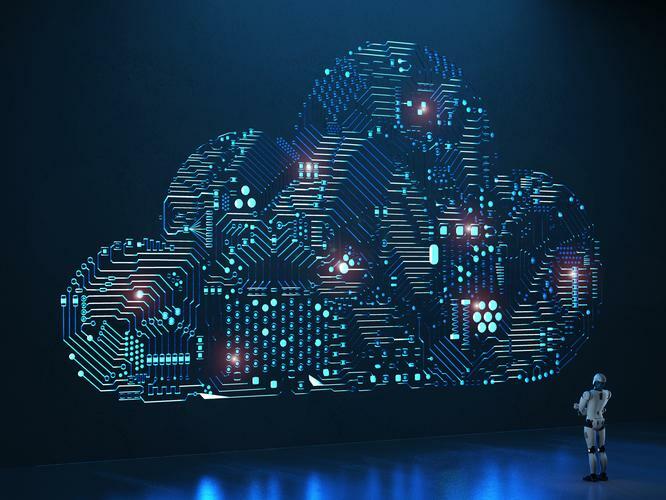 Cloud complexity stemming from operating multiple clouds, and the rapid release of new services to market, require enhanced cloud security. Each new feature added to your cloud estate also provides a new potential attack surface that must be secured. Successful transitions involve ensuring the infrastructure of your company’s cloud environment is “secure from start” so it can accommodate the thousands of new services cloud providers roll out each year with less risk. It also involves frequently scanning the environment for threats, actively alerting security owners, and then immediately remediating any valid threats. Humans, not systems, are often the true threat. You can’t benefit from the Hyper 3’s innovation if it has to vet every new service. But in an attempt to assure compliance, you can instead become locked into proprietary approaches or costly compute models that leave you unable to meet the demand for innovation at speed. Your organisation needs an agile policy to enable users to capitalise on new features. Such a policy makes new services available immediately, while employing real-time discovery mechanisms and guard rails to understand which services people are consuming, as well as where, when, and how they are using them. As the Hyper 3 get stronger, competitive intensity grows and will likely continue unabated for years to come. This means that if you align with the Hyper 3 you’ll benefit from greater innovation at continually lower costs. Thus, you need to navigate with care when choosing your vendors. As the preceding forces show, cloud remains a compelling, fast-moving, and unpredictable space. The best response for you is to be agile—able to pivot quickly while building in what’s necessary to mitigate risk and capitalise on opportunities.